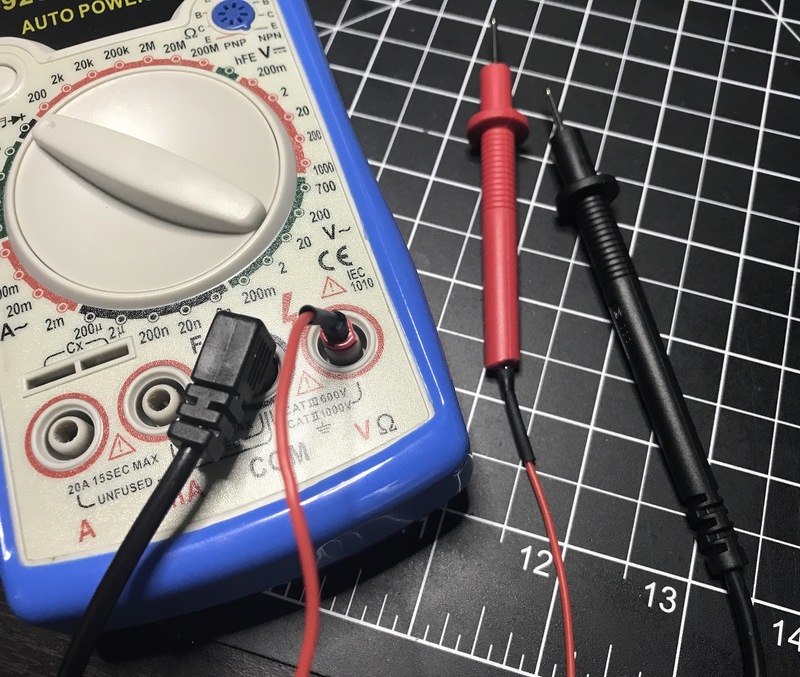 The last couple of times I went to use my multimeter, it wouldn’t read voltages or do a continuity test. I didn’t really need it at those times, so I set it aside. Well, I needed it tonight to diagnose something causing problems in a circuit, so it was time to figure out what was wrong. After unscrewing the back of the multimeter and looking inside, I noticed there were contacts where each of the cables plug in. 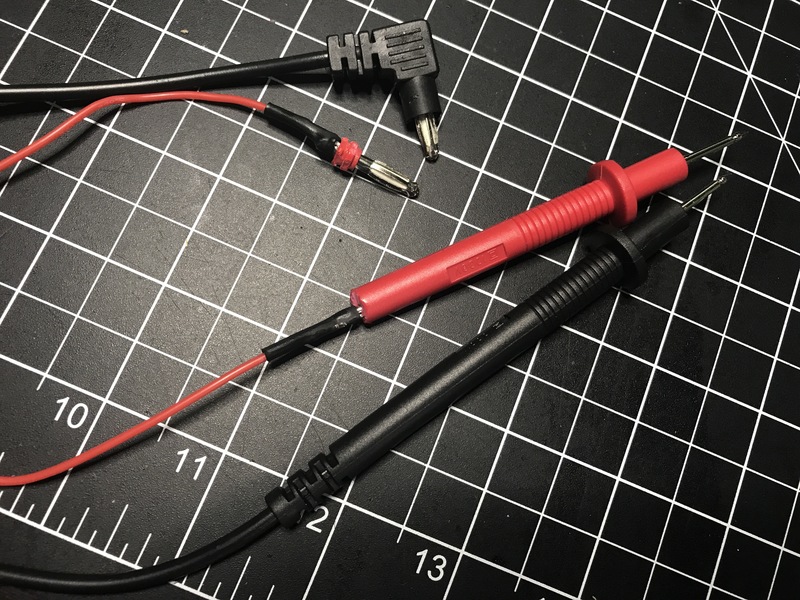 I got out some alligator clips to use as test leads and the device worked fine. Then I did continuity tests on the cables and the red one failed. It was time for some surgery so I hacked the ends off. The wire inside was so small and fragile that it had pulled apart from the probe’s end. I cut a new cable using some silicon wire I bought last week since it’s really flexible compared to the wire I use to build circuits. Soldered the ends back on, put some heat shrink tubing over the connections, and I’m back in business! I had the same issue with my multimeter, but didn’t even consider fixing the probe since new ones were very cheap to get. How would you rate the silicon wire for circuits? In my last project I tried using an old ethernet cable I had lying around. Unfortunately the wires, being single-thread, snapped way too easily and I had to disassemble and re-solder few of the components because of that. So far this is all I’ve used the silicon wire for but it seems to be holding up.